Since Windows 8, Windows OS, including Windows 8, Windows 8.1, Windows 10 or later, allows users to use PIN (Personal Identification Number) to log on to Windows in place of passwords. 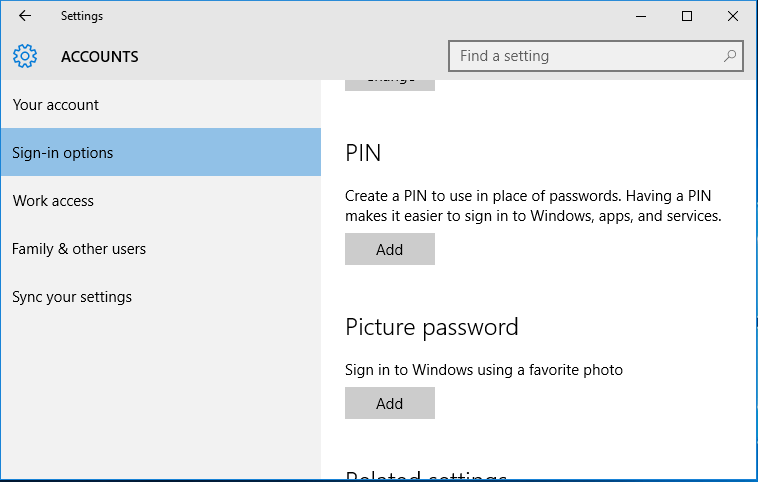 The main advantage of using PIN is PIN makes it easier to sign in to Windows, apps, and services. In you’re using smartphone such as iPhone and Android-based devices, you should be familiar with PIN access authentication method, when you can type in the preset PIN number or passcode to automatically unlock the device. Another advantage of using PIN number to sign into Windows is that you only need to type the PIN code, without having to press Enter key, making logging in quicker. 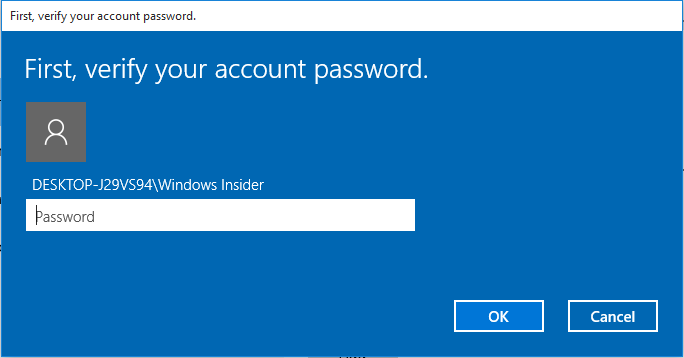 Follow the tutorial to learn how to create and add a PIN to your account in Windows 10, to be used in place of password. You must add a password to local account before you can use the other sign-in options like PIN or picture password. By default, domain users cannot use PIN to sign in unless specifically enabled. PIN must be set up in order to use fingerprint authentication. Adding a PIN to your account is also offered while setting up Windows for the first time if you’re logging in to Windows with a Microsoft Account or local account with a password. 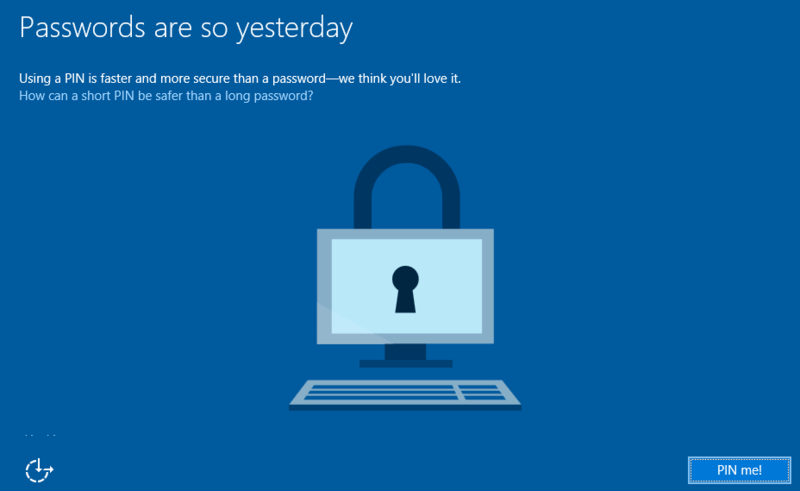 In Windows 10, you’re presented with a “Passwords are so yesterday” screen, explaining why PIN is faster and secure. If you want to create your PIN, just hit the PIN me! button. In Windows 10, click on Start and open the Settings app. Alternatively, open Action Center (Notifications bar) and select All settings. In Windows 8.1 or Windows 10, click or tap on the Accounts. Under PIN or Sign-in options (for Windows 8 only) section in the right pane, click or tap on Add or Create a PIN (for Windows 8 only) button. If prompted to verify your account password, enter your password. If you’re using Microsoft Account (MSA) with 2FA enabled, you may be required to perform additional steps to complete the secondary authentication. Enter the PIN code you preferred. The PIN number requires at least 4 digits. Then, click or tap on OK.
Close Settings app. The PIN is now ready to be used to sign in or unlock the device. 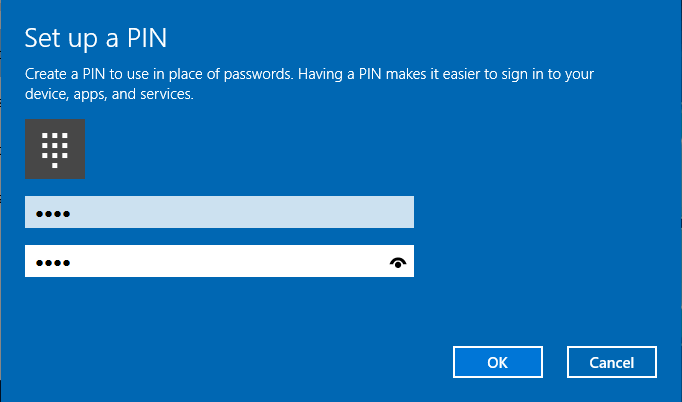 The next time you have to sign in or unlock the Windows device, the logon screen will automatically defaulted to use PIN as the sign in option. Click or tap on Sign-in options to switch to other sign-in methods that available for your account, such as password and etc. If you want to set up your PIN again (not change PIN), the only way is to reset it.